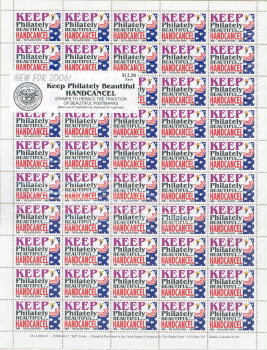 Born out of frustration by ugly, sprayed-on cancelations, use these stamps on all your mail to send the message: Keep Philately Beautiful - Handcancel! These stamps may also be used colorfully to instruct post office personnel (or as a reminder to you) to handcancel your envelopes and postcards. Individual stamps measure 1.5" x 1" - 50 stamps per sheet. 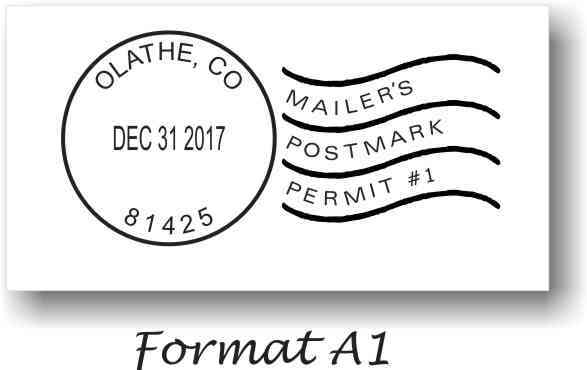 Moisture activated adhesive stamps are printed in full color (CMYK 4-color process) and authentically pinhole perforated in the USA by The Olathe Poste.